“Blockchain, Digital Social Innovation and Social Economy. 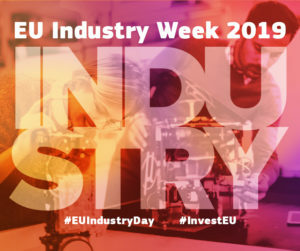 The Future is here!” took place in Brussels at the EU’s European Economic and Social Committee, on 7th February 2019. The workshop on blockchain, digital innovation and social economy aims to keep the attention on developing of scalable, efficient and high-impact decentralised solutions to social innovation challenges but also to bring social economy enterprises and related stakeholders closer to blockchain technology as possible tools for their developments. The panel “Blockchain, DLT, Digital solutions and Social Economy – The state of play, the policies, the goals” focused on what the Eu Institutions are doing to develop Blockchain technologies and other digital solutions for social changes and social economy, in Europe and broadly. The panel “Blockchain solutions for Social Economy and Sustainable Development Goals” discussed concrete projects based on Blockchain or Distributed Ledger Technologies (DLTs) for social goals. The panel “Social economy enterprises and digital social innovation” focused on digital technologies and social economy enterprises – and how these can link together in strengthening social innovation, shared knowledge and participatory practices. Some interesting practiceson sustainable and social urban mobility included the Coop Samarcanda and Apptaxi (Italy); Simplon (France) a network of social digital factories with different projects like training on digitalisation for migrants; Doc Servizi, a co-operatively owned business model that facilitates the trade of entertainment, cultural, and creative companies’ goods and services, with the purpose of fostering a socially and economically equitable landscape. Redscope’s Claudia de Castro Caldeirinha spoke about the importance of #inclusion and #leadership in the digital era. Referring to the fact that 4 billion people in the world are still excluded from digital – and women are a majority of these- Claudia pointed concrete suggestions to move towards inclusive digital: Strong public-private partnerships, reformed Education (and trained teachers, etc), Life-long Learning, Mentoring, active and visible role models, VC for women start-uppers, etc. She stressed: “Digital is not an option: to remain competitive, Europe needs to accelerate awareness, skills & competence-building, public-private alliances, and promote inclusive leadership”.